Zillow Group’s Dan Spaulding leads the organization in optimizing benefits, honoring boundaries, and fostering employees as whole people. Zillow Group’s Dan Spaulding respects five o’clock: Leave the office. Leave earlier, if you can, without fearing retribution or shame. As the head of people and culture, he leads the organization in optimizing benefits, honoring boundaries, and fostering the employee as a whole person. Throughout high school and college, Spaulding stoked ambitions for law school and a legal career, but during his first legal internship, he discovered that the work wasn’t quite right for him. “The work felt confining, and I wanted to have a career where I was working on the whole system—not just one piece of it,” he explains. He did find some aspects to cherish and enjoy, such as the variety in his duties and the opportunities to make positive impacts on individual lives. Pursuing those, he was aiming for a career in business and human resources by his senior year in college. 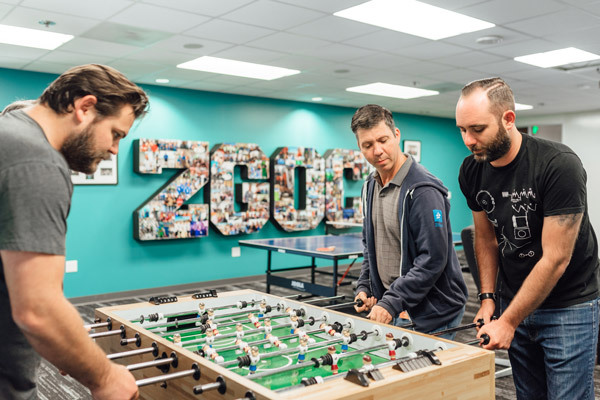 Zillow Group’s headquarters in Seattle features a game room for employees—but their culture is about much more than a space for games. After earning a bachelor’s degree in political science and history from Knox College and a master’s degree in HR and industrial relations from the University of Illinois at Urbana-Champaign, Spaulding entered the tech world just as the dot-com bubble was beginning to collapse. Spaulding recalls that one of his first major responsibilities was to manage a host of layoffs. Spaulding left the consumer tech industry in 2007 for roles at Life Technologies and then Starbucks. In 2016, he returned to tech, better prepared to navigate the field’s characteristic pace and disruption. His invigorating, troubling, and inspiring experiences from early in his career continue to inform his approach at Zillow Group, where he keeps sight of the obvious yet easily neglected truth that work and jobs affect people. These experiences shape health and identity, and Spaulding says an organization has deep, serious responsibilities to its employees. Spaulding is proud that Zillow Group employees have a variety of communication channels directly to leadership. Employee feedback has led directly to substantial institutional change, and he cherishes the process. 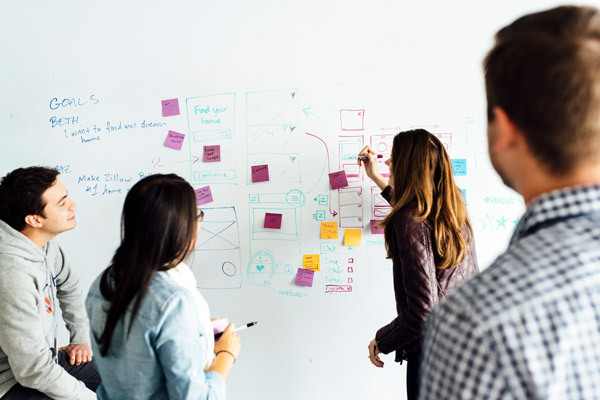 Collaboration is encouraged at Zillow Group to drive problem-solving. “A couple years ago, we started to receive a lot of feedback that benefits weren’t as competitive as our employees needed,” recalls the chief people officer, noting that many were starting families at the time. “That led us to engage our employees on their ideas, and about two years ago, we rolled out some of the most competitive benefits for any company our size—including enhanced parental leave and medical benefits.” While other organizations are making comparable transitions, Spaulding credits those open, direct channels with enabling Zillow Group to anticipate the trend. Zillow Group maintains an email alias for employees to contact Spaulding, CEO Spencer Rascoff, and a host of other key leaders simultaneously. Anyone can reach out at any time. Feedback has included new product ideas, discussions on project flow, and individual observations on how leaders might be more effective. Every message receives a response. Spaulding notes that his previous organizations never had such a robust feedback channel. Leadership has to invest in a healthy work/life balance, Spaulding says, and he draws a distinction between Zillow Group’s culture and the familiar stereotype of the late-night/early-morning tech-industry grind. The vast majority of Spaulding’s team leaves the office at—or before—five o’clock. He says it’s not a “face-time culture,” and they aim to tie the value of work done over hours spent in the office. The pace of the workday and its discrete closing time guide his colleagues toward elegant, simple, and easy-to-explain solutions. While another company’s meetings may take sixty-minutes, those same meetings at Zillow Group may take thirty. Long hours and austere demands damage morale, increase turnover, and threaten the whole organization’s sustainability. Zillow Group offers employees structured opportunities and programs to recover and re-energize. Along with access to health and mental healthcare, the company does not cap vacation time, and after six years, an employee is eligible for a six-week sabbatical. Spaulding notes that employees take them for travel, volunteering, or simply to relax with family and step back from the intense, accelerating pace of the tech industry. Spaulding also cherishes his organization’s leadership playbook, a set of principles and real-life examples that highlight what great leadership looks like at Zillow Group. AHT extends our congratulations to Dan Spaulding and his entire team for this recognition. As Zillow Group’s long-term, strategic partner, we are proud to work alongside a truly dedicated visionary and leader. Dan consistently strives to provide the most compelling, comprehensive benefits programs to Zillow Group’s employees. We look forward to continued collaboration and inspiration from Dan and his team for years to come. Learn about how AHT can help your business at www.ahtins.com.